Cities were crushed by the falling spacecraft, but one ship didn't crash. It remained intact and disgorged hordes of alien soldiers determined to fight to the death. The abandoned vessels also contained a wealth of advanced technology. Led by David Levinson, the greatest minds of our world developed deadly new hybrid weapons. Bases were built on the moon, Mars, and beyond. A new generation of defenders had to be trained, for the invaders would return. Hybrid fighters merging human and alien technology. Massive cannon emplacements on the moon and Mars. A planetary defense force with the finest military personnel ever trained. For two decades we've known the enemy would return. The nations of Earth have collaborated on a unified defense program designed to defend the planet. Yet nothing could prepare us for the immensity of their new assault, and only the courage and skill of a few brave men and women can hope to bring our world back from the brink of extinction. 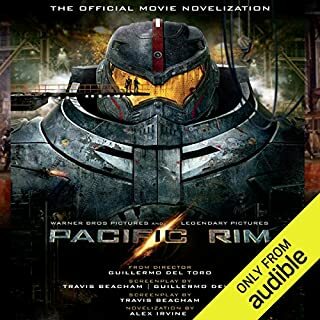 I'm not sure why this audiobook has gotten mediocre reviews. I think it's excellent and I plan on relistening a couple times to catch everything once again. It's very well-done with an excellent pace and narrator (nails the voicing, tone, and overall speech mannerisms of several characters). I especially loved the amount of detail and backstory and the sheer volume of attention given to things that can't be conveyed on screen. It's safe to say this novel is jam-packed with far more information that serves the story than the film will. Think: film - spectacle, book - immersion. This performance and the novel in general are both worthy of 4 at least. It was a fun audiobook. 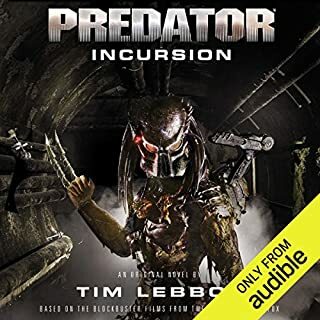 The narrator did a good impersonation of Judd Hirsch and Brent Spiner. On the technical side, the editor forgot to edit out a bad take of a certain sentence so we're treated to both takes, which is awkward, but it was near the end. Overall, I enjoyed the book. The characters as written are rather dull and uninteresting, but the aliens are the real star of the show here. If you thought they caused a lot of destruction in the first movie, you ain't seen (or read) nothing yet. Plus, there's an interesting addition to the plot that hasn't been revealed yet in any of the movie trailers I've seen so far. As such, I really enjoyed the novelization and am looking forward to seeing it on the big screen when it hits theaters. What would have made Independence Day: Resurgence better? Aliens in the book would have been nice. What was most disappointing about Alex Irvine’s story? Wish it were better. Should have spent my time cleaning my fingernails. I enjoyed the book for what it had but it didn't put me on the edge of my seat. I enjoyed the characters and the interactions that they had. I think my main issue was the lack of detail concerning the 20 year gap that occurred between the stories. The characters were pretty week detailed but not a whole lot of info about the research into the alien tech. Enjoyable but not a classic. I love the book as well as the movie. I don't understand why this movie was not liked. It is just a fun movie for pure entertainment. I loved the first movie and the second. As for this book, it was very entertaining. Made me laugh and kept me entertained throughout. Let me be clear, we are not talking about a great piece of fiction here, just a very entertaining, fun listen. After listening to Crucible, I guess expected more than I should have. 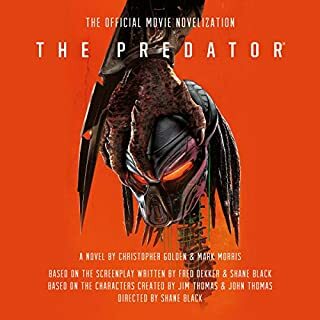 This version is a different author and it is a movie novelization-a few more details than what you would see on screen but essentially the same. 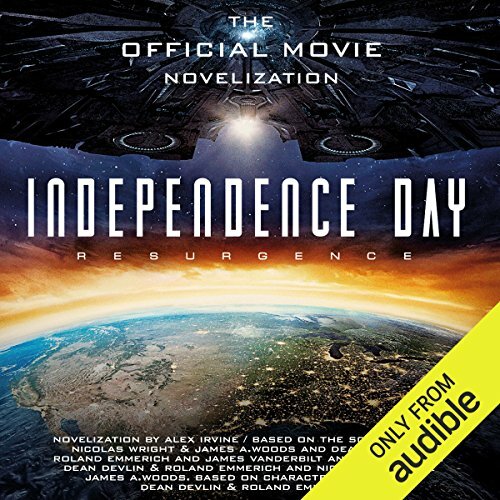 The continuation of a captivating story about the human races resilience in the face of total annihilation, Independence Day Resurgence is truly an exciting story. 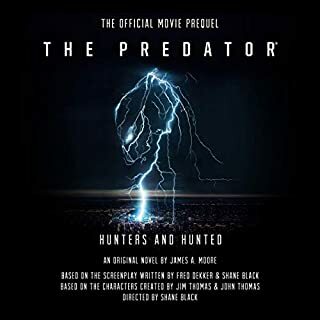 It is not a perfect story by any means however, the characters can some times be dry and petty or cliché, but the story idea behind this story is fascinating and intriguing and able to keep the listener hooked. I have yet to see this in movie form, though I do not understand why the movie has been getting poor reviews. If critics are going in expecting it to be exactly like the first they will be disappointed. 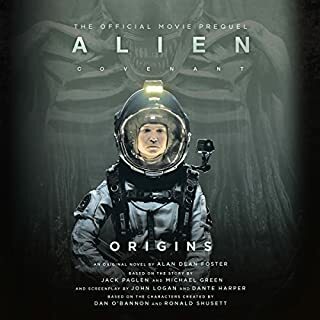 It has its moments when it take from the first movie (almost word for word) but it is definitely reaching out to the next generation to continue on the story of earths survival and its ability to conquer. This story is certainly a whirlwind of excitement and leaves the listener wishing for a sequel which it so easily sets up for preparing for a universal war. 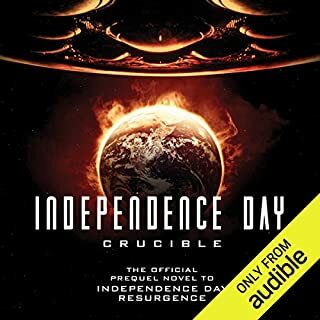 I highly recommend it be paired with Independence Day Resurgence: Crucible in which the listener will hear the back story and about the time between the first movie and second. Narrator is too singsong and narration as whole is boring. Story is predictable. Hope movie is better. What did you like most about Independence Day: Resurgence? I thoroughly enjoyed the original film so was looking forward to Resurgence. I felt the that the pace was pretty good and carried on well from the lifeline of the original story. David (Jeff Goldblum's) Character just because of his manner and dry humour. His Father is quite entertaining also. I never listen to a full book in one sitting. But i did complete it a lot quicker than most. Just that I did enjoy this book, mainly for the fact that i enjoyed the original story so much. It didn't disappoint and the take on the plot was good. Having watched the film 1st which I do not normally. The book is far better. The book fills in so much more and is very well read. Overall a good listen only 4* because it can never be as good as the original. Though the narration was good the story line was too short . Not as good as the original story line.